You lock your doors, change your fire alarm batteries regularly, and maybe you even went so far as to have a security system installed. 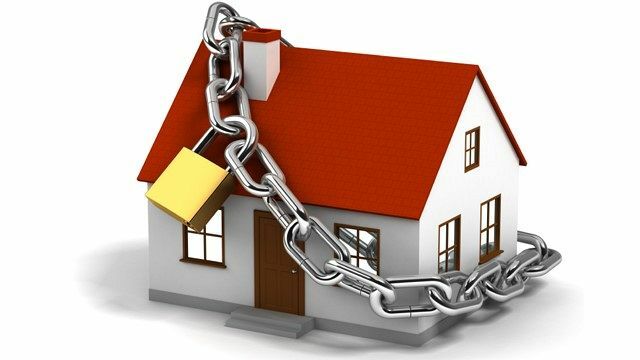 These are all great steps to keeping your home safe from intruders and hazards, but there are a few contemporary threats that you might not have thought of. To find out the most overlooked dangers to homes we talked to David Laubner. He is Head of Digital Marketing and Sales at Blink, a wireless (and very affordable) security camera company, so he knows a lot about the surprising dangers lurking in homes. Read what he had to say below. It’s not uncommon to fall asleep with your phone, connected to the charger and still playing a podcast, beside you on the bed. But it is dangerous. “Not only does this disturb your sleep, it can also be hazardous if you have a faulty phone battery which can sometimes even result in a fire,” David says. As tempting as it is to tuck your phone in with you at night, place it safely on the nightstand while charging. With how often you reference Google Maps or request an Uber to take you home after work, it makes sense that you’ve saved your home address in your phone – but in doing so, you’ve also given thieves a direct path to your house if they should ever get hands on the device. “Set the home address on your iPhone to an address near your home, but not your actual address. That way, if someone steals your phone, they won’t be able to find out exactly where you live,” David says. The red battery icon on your laptop is flashing, your iPhone power is at one per cent, and your Kindle is dying. With so many devices needing a charge it’s easy to find your power outlet and extension cord suddenly filled up. But resist the urge to overload outlets as this can lead to fire. Always plug extension cords directly into the wall, not into other extension cords and be mindful of the voltage limits on your power strips. Putting multiple power strips into a single wall outlet can put you over the voltage limitations. David warns that this basic styling tool is becoming an increasingly common way to start fires. “Is Your Hair Straightener Off? : This is one question you need to ask yourself before going out,” he says. If you find yourself repeatedly having trouble remembering, he suggests you keep a DIY security camera like Blink in the room where you usually do your hair, so you can double check that you turned it off from anywhere. Walking the dog while checking emails or riding the bus while browsing the web on your phone has become de rigueur, but in self-isolating you’re missing a valuable opportunity to connect with your neighbours. “In case of intruders, your neighbours can be a huge help. They’ll likely be the first to notice or hear if something is wrong, and can call 000 if you’re unable to get to a phone,” says David.